During the full moon night, we hike in approx. 4 hours from the mainland to Ameland. Half-way, we ll enjoy the sunrise and the gradual transition from darkness to daylight. Upon arrival early morning, a breakfast and strong coffee can be consumed at an additional cost of approx. € 10.00. The day is at leisure on the island. This trip is heavy and therefore only suitable for sports enthusiasts. Registration can therefore only be made in consultation with our guides. 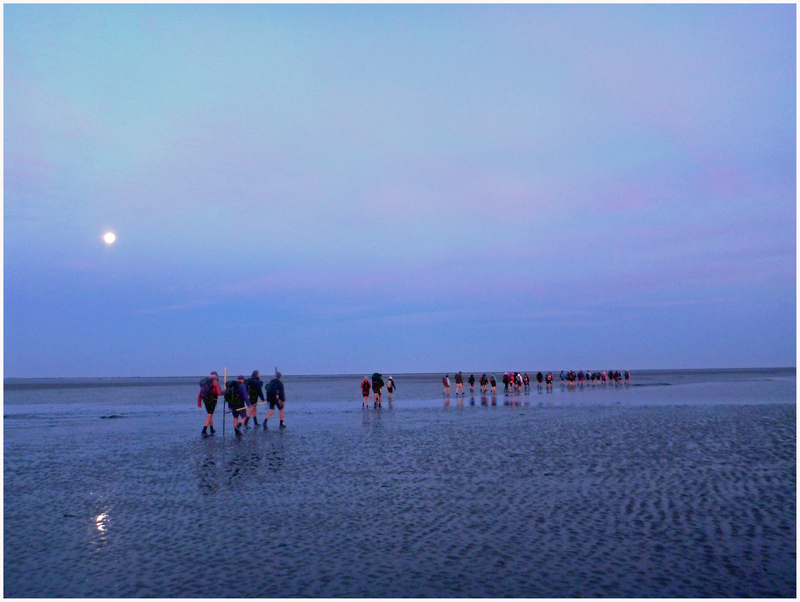 A full moon, countless stars, lights in the Eemshaven, light of the lighthouse of Borkum and on the horizon the red lights on the windmills on the North Sea form the varied backdrop of this mudflat hike to the island of Rottumeroog in the dark of the night. Halfway the tour we enjoy the rising sun and the gradual transition from darkness to daylight. This tour is only suitable for sports enthusiasts.